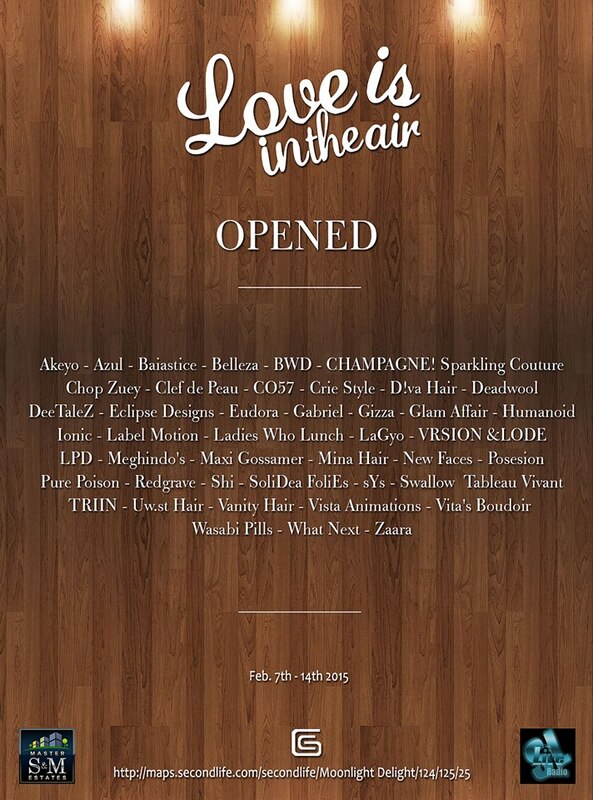 Love is in the Air 2015 is OPEN! “Love is in the Air”. 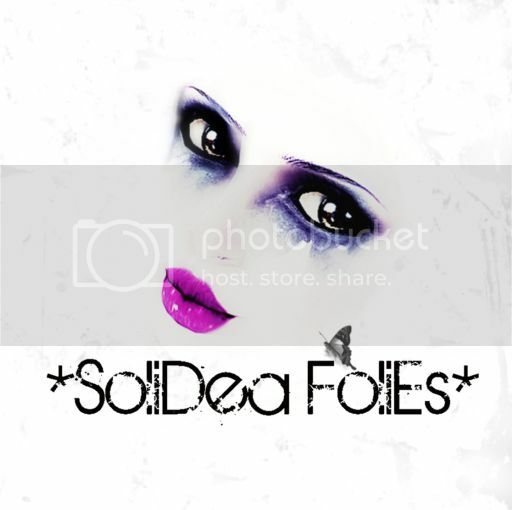 Please join us February 7th through the 14th, 2015 as GizzA Creations brings to you a selection of the finest brands in Second Life. 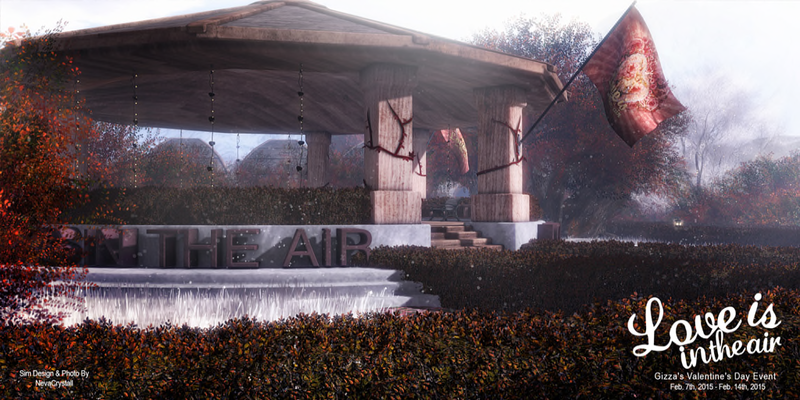 Each designer has created an extraordinary “Love is in the Air” item for the event and they will be showcased on February the 8th, 2015 at 1PM SLT, by GizzA’s in-house super-models at a one of a kind runway show. Please join us February 13th through the 28th, 2014 as GizzA Creations brings to you 27 of the finest brands in Second Life. 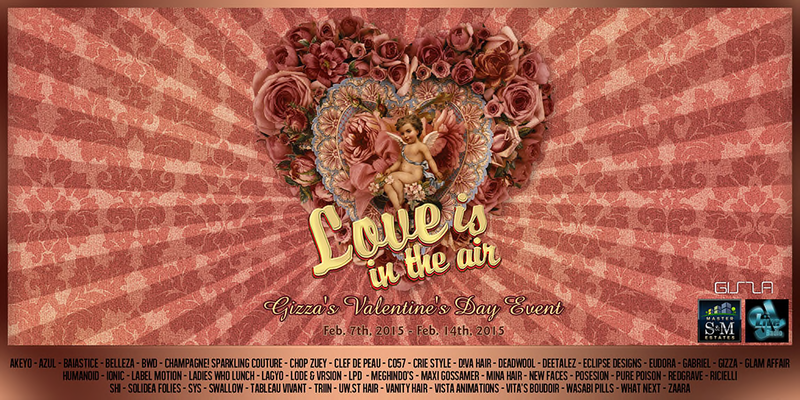 Each designer has created extraordinary “Love is in the Air” items for the event and they will be showcased on February 16th, 2014 at noon SLT, by GizzA’s inhouse super-models at a one of a kind runway show. Come; be swept away on the gossamer wings of love with GizzA Creations. Show us your grand gestures of the heart and may your love story never end. Son!a Luxury Fashion, sYs, Vanity Hair and Zibska.